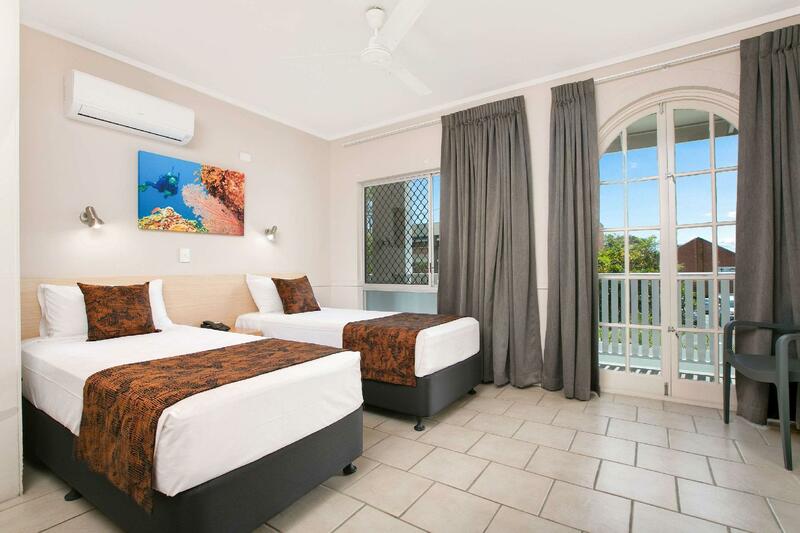 يشكل Comfort Inn Cairns City بموقعه الممتاز في المدينة نقطة انطلاق جيدة لاستكشاف أفضل ما فيها من معالم ومناطق نابضة بالحياة. يقع الفندق على بعد 1. Km من مركز المدينة، ويؤمن الوصول إلى أهم مراكز المدينة. يضفي محيط الفندق اللطيف وقربه من أكثر المعالم السياحية جذبًا سحرًا خاصًا على هذا الفندق. ببساطة كل الخدمات وأساليب الضيافة التي تشتهر بها Choice Hotels تجعلك تشعر وكأنك في بيتك. تتضمن الميزات الرئيسية في هذا الفندق: واي فاي مجاني في جميع الغرف, خدمة التنظيف يوميًا, تخزين الأمتعة, واي فاي في المناطق العامة, صف السيارات. استمتع بوسائل الراحة الراقية في الغرف أثناء إقامتك هنا. بعض الغرف تتضمن تلفزيون بشاشة مسطحة, بياضات, مناشف, غرفة معيشة منفصلة, مكيف هواء لمساعدتك على استعادة طاقتك بعد يوم طويل. يمكنك الاستمتاع بالأجواء المريحة التي تقدمها حمام سباحة خارجي, حديقة طوال النهار. 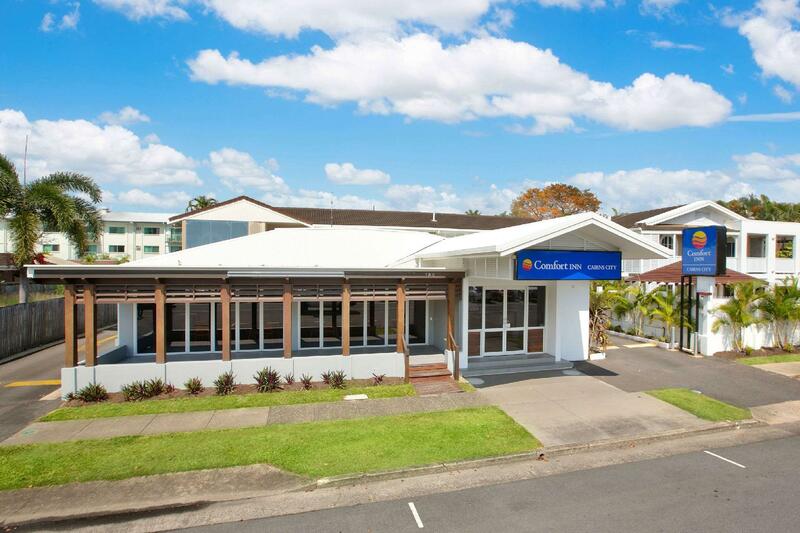 استمتع بخدمات لا يعلى عليها وعنوان ذو اعتبار في Comfort Inn Cairns City . مكتب الإستقبال مفتوح من 7:00 AM إلى 7:00 PM. الضيوف الذين سيصلون خارج هذا الوقت بطلب منهم التواصل مع العقار مباشرة قبل موعد الوصول لترتيب هذا الأمر. Please note that there is a 2% charge when you pay with Visa or Mastercard credit cards. Please note that there is a 3.5% charge when you pay with American Express and Diners Club credit cards. Please note that the reception opening hours are as follows: 07:00-19:00 daily. The Discovery Retreat was clean and comfortable and had a nice, if small, swimming pool. The staff were extremely helpful providing a map of Cairns and directions to the food markets on the Esplanade which was only a short walk away. 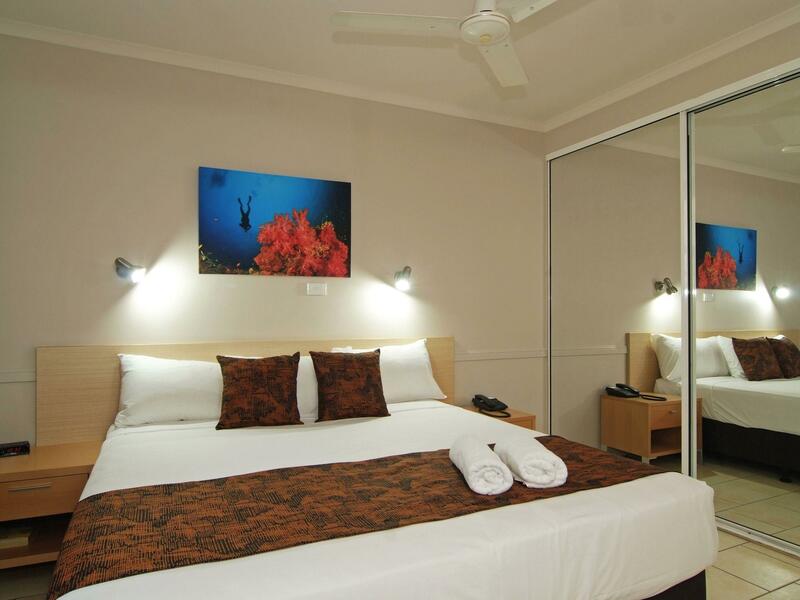 It represented very good value for money and I can thoroughly recommend it to anyone for their stay in Cairns. So disappointed. We stayed there for four nights, the staff was nerver clean the room even we've put a "make up room" sign outside the room. We even found two spiders(big one) in the bathroom. the room in total is not worth that. Really disappointed, ruined our entirely trip. My partner and myself stayed at the comfort Inn, September 2014. Being budget accommodation I was expecting worse. Room was tidy, good size, bed was comfy and location is quite reasonable. Although we didn't eat at the restaurant it smelt amazing so I kinda wish we did. I just recommend not trying to adjust the shower as it doesn't move and I found this out the hard way. About all I can't complain for what we paid. Very cheap but reasonable price. There was a door which is directly connected with another room. We could hear television sound they were watching. Poor air conditioning and noisy ceiling pan. 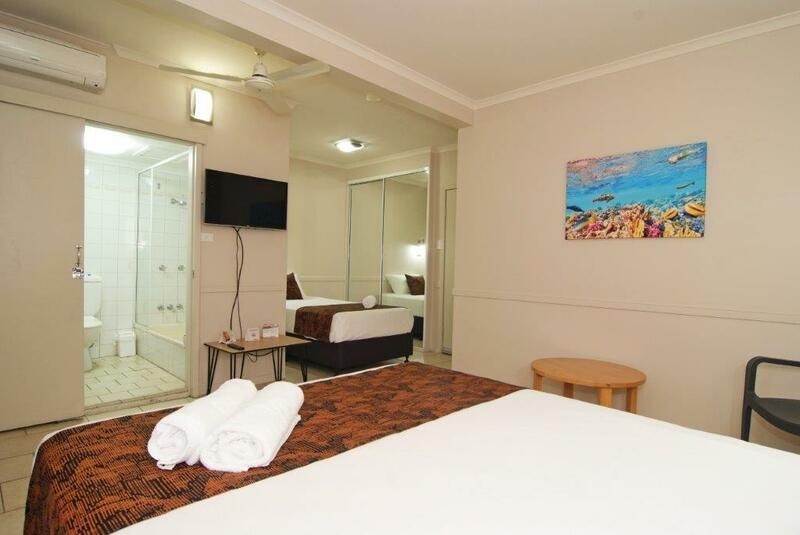 But loved cleanness of the room and comfort bed. Staff are friendly. The stay was ok, as I didn't spend much of my time in the room. The room looks spacious but the condition of some parts of the room is running old. The shower head is broken, plenty of rust in the bath tub. There is funny smell when i opened the cloth closet. 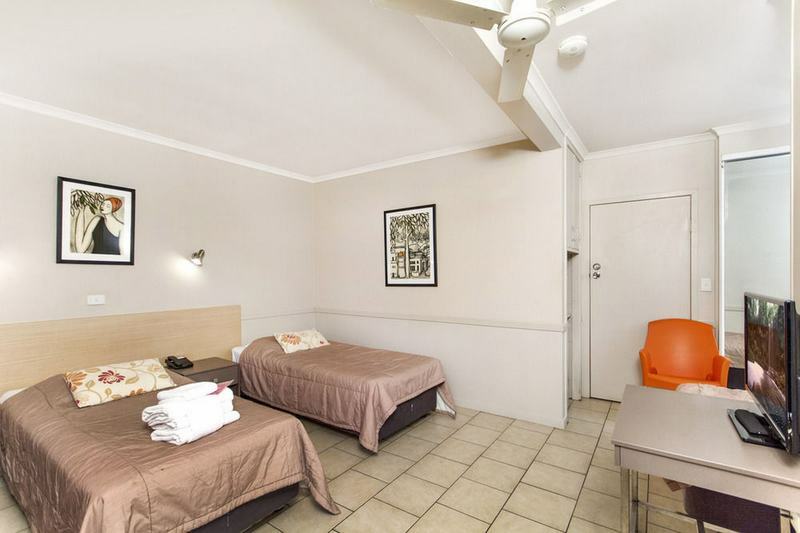 The rest of the room is fine, with a nice double bed. the hotel is within easy walking distance of our main venue (crosswell hall). it was also convenient for restaurants on the esplanade and shops. service could have been a bit better: we received 3 bath towels but only one hand towel(!) because it was a three-bed room, although only two of us were booked in and it was designated as a standard double. i assume three guests were meant to share one hand towel! a friend in cairns left messages re transport for the evening for room 110 and for myself in room 111. i did not receive the message. reception denied all knowledge of any message, although room 110 received hers. fortunately, i was able to contact my friend to find out the arrangements. 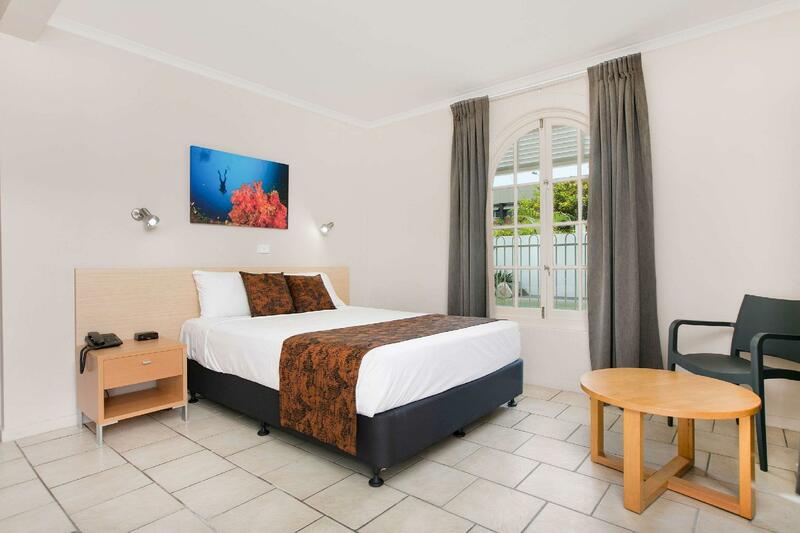 other than that we spent an enjoyable weekend in cairns and the room, though basic, was adequate. The "double" bed was converted by pushing 2 twin beds together; the joint was so uncomfortable that I couldn't really fall asleep. Every time I rolled over the joint, it hurted my back. As for the cleaniness, I don't have a word for it -- it wasn't as clean as it should be but it wasn't too dirty. You know, the ones that you don't want to be bare foot in. No receptionist after certain hour; the front door of the hotel was completly closed, no one to help. To be honest, this can only be a 2 star hotel, definitely NOT a 3 star hotel. The light in the hallway leading to our room didn't come on at night. It's worst than Motel 6. The alarm clock in the room didn't work; tried calling the front desk at 10pm for a wake up call, no one was there. My husband couldn't sleep, afraid that we might oversleep and miss the tour. We are decieved by it's name "Resort" and it is actually not quite a resort, at least we didn't feel so. No such relax feeling at all. First feeling we entered the room was "hot" but the air-condition was not adjustable and stayed at 27C. The receptionist explained that it would lower to 22C automatically over time. What a stupid design! What if we feel it's too cold at 22C?? There's no way to increase the temperature and the only option would be turning it off... No cleaning of the used cups for coffee and tea after room service... Quite far away from CBD. Clean room, friendly and helpful staff, take 10 mins walk to city centre where you can enjoy food and supermarket over there. Quiet place at night and earily access even you don't drive yourself. 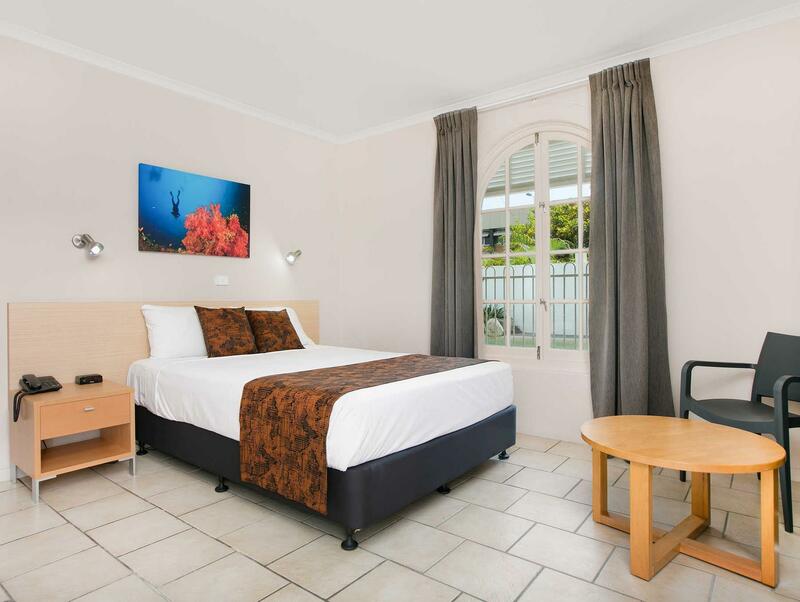 The staff is helpful and friendly, the room is nice with air conditioning. However, the bed is so soft for me.